Did you hear the great news? We've raised nearly $890,000 in gifts and pledges since we opened in 2015. Additionally, we received a $745,000 Charter School Start-up Grant from the Federal Department of Education. The Five Smooth Stones Foundation was organized to launch Baltimore Collegiate School for Boys. We are a non-profit organization governed by a Board of Trustees deeply concerned about quality educational opportunities for families in Baltimore. 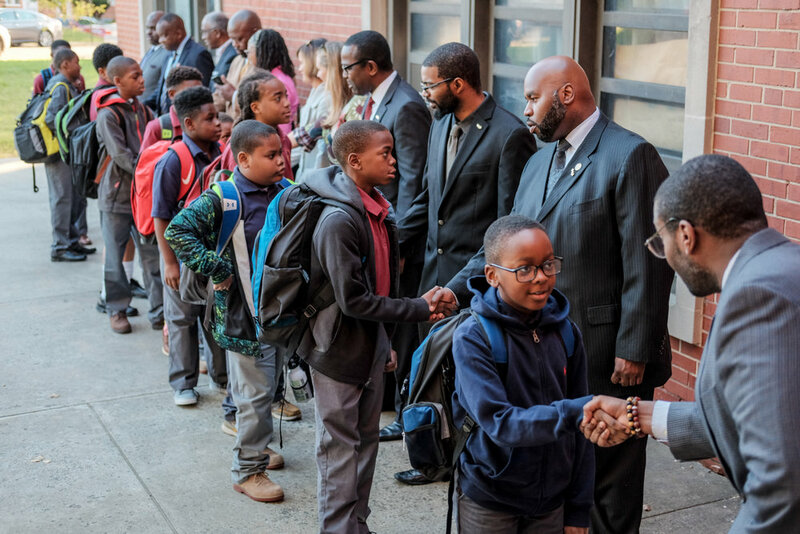 Help us continue our community investment phase and ensure that a generation of boys in Baltimore City will make it to college with a world class education. It’s no secret that right now Baltimore finds itself in a position where our future success depends on the investments we make today. At Baltimore Collegiate we believe every boy deserves an excellent education and the opportunity to graduate from college. Take this opportunity and make a difference not only in the lives of these boys, but their families and our communities. There is no better time than now to show your support! You may send a check to the address below. Your check should be made out to the "Five Smooth Stones Foundation, Inc." Your gift will be tax-deductible to the amount permissible by law. Gifts of securities, including stocks, bonds and mutual funds, may be transferred through your broker to the Baltimore Collegiate School for Boys gift account at Brown Advisory. Please contact us if you'd like to make a stock or securities gift! Our Account Number is: 5772-8620. Many employers offer a matching gift program, which may help you double or even triple your gift. Baltimore Collegiate School for Boys is supported and operated through the Five Smooth Stones Foundation, a non-profit, 501 (c)(3) organization. Tax ID 27-4400615. For more information, contact us at (443) 642-5320. * Trustee, Five Smooth Stones Foundation, Inc.